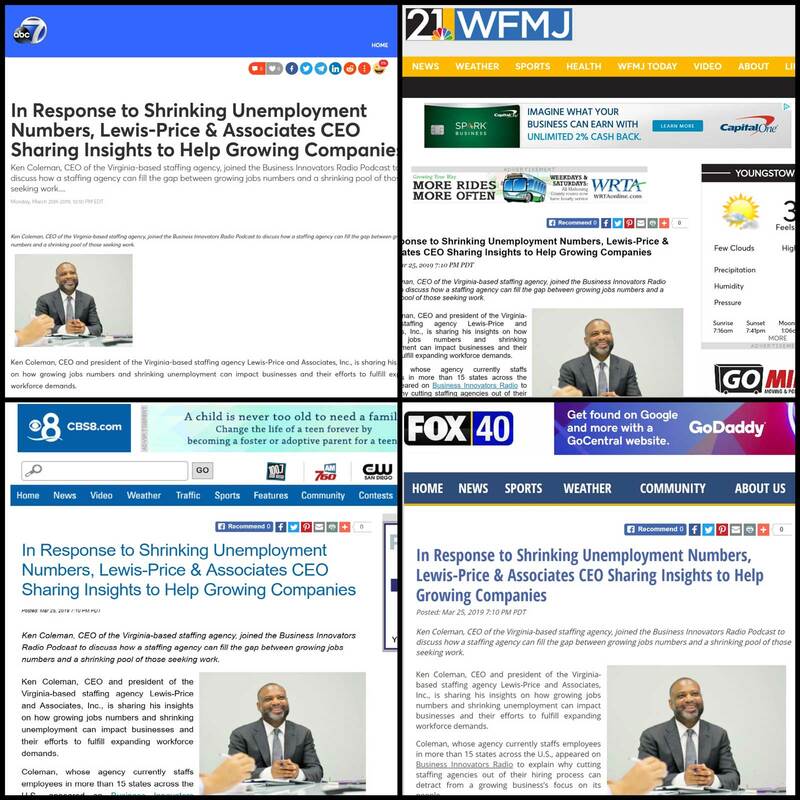 In Response to Shrinking Unemployment Numbers, Lewis-Price & Associates CEO Shares Insights to Help Growing Companies. Lewis-Price is an SBA 8(a) certified staffing company committed to providing confidence to our government clients and teaming partners alike. We staff diverse, engaged leaders in IT, cyber security, program management, and training. We value integrity and intention.